Snaps: Okay Doc, here's the deal: marry my daughter, and you can use all the dough in this bag to start your linguistics school. Most men spend their whole lives tryin' to get their hands on what's in here. Dr. Thornton Poole: [sarcastically] Mmm, that's right, Mr. Provolone. I've never seen so much money. Dr. Thornton Poole: [He picks up several pieces of lingerie] Here's money, um... and here's more money, and - Oh, look. Here's a lovely new $20 bill. This got some of the best reviews of any recent Stallone film, and after seeing it, I understand why. 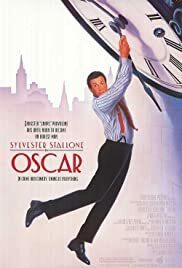 It's an absolutely hilarious, wonderful movie that shows one of Sly's best performances, and a great supporting cast. It was a long time before I got around to seeing it, but man, am I glad I did. I haven't laughed this much in a long time. And to those of you who jump on the negative hype bandwagon and make fun of Stallone like a bunch of lemmings, check this one out. 96 of 108 people found this review helpful. Was this review helpful to you?